As we've talked about, the development of Exiles of Embermark will have many opportunities for you, the Exiles, to contribute --not just to the feedback and opinions about the game-- but to the design of the game itself. We will embark on several Design Quests to create items, monsters, lore and in this case, an actual Zone for the game world. 1) Flora/Fauna - this thread houses ideas, discussion and polls on the wilderness and what manner of NPCs abound. 2) History - get nutty here, but remember the established Lore basis and work from there. This is totally unfair, because much Lore will be revealed to you as the game goes Season to Season, but tough-trolls-- we will gently direct you if you're too far off with guidance into the Lore. This thread will also have some upfront background in the opening post, including a primer on the Collapse and what has transpired on this castoff continent since then. 3) Civilization - what (and who) used to be here before the Collapse? What (and who) has emerged, migrated and formed since then? As you can see, there is much to see and do in this land. Its northern border touches the defining middle body of water for the continent. It appears landlocked at first, but it is not. One of the most significant bays from the sea comes right up and clamps its watery jaws around the Southeasterly portion of it, and it is touched directly by four other Zones. "So how do I start to contribute, you silly-hatted man?" Within the geography of the Zone, what do you see? Is it uniform, varied or somewhere in between-- describe. As an adventurer, what do you like best about the Zone? What do you fear or despise? What would you like to FIGHT here? How could one make a quick coin around here? If you went underground, where would the caverns take you? How do you travel within and across the area? Who is here recently? Who's been here forever? Who shouldn't be heeeerrrre...? Where is there safety? Why is it safe? What is it safe from? If you've just arrived, what would you head for first, and why? Lots of variance in there, so I suggest just starting with one-- don't feel like you have to attack every question (/winks at @xeru), and if you simply have ideas for the Zone, don't feel limited to these questions. The other threads will come, and we'll move some ideas over to them. So have at it, Exiles-- let's explore A-Zone-You-Will-Name-Shortly! UPDATE: The Decisions thread is now up for honing in on all the great ideas submitted. The River folk are believed to have once lived in this area of Marshes and Swamps, and many believe they still do. The River folk were not to happy to encounter humans when they noisily came to their lands and started building crude forts for trade. The River folk quickly rebelled against these intruders, burning down the forts and leading them into deep into the swamps from whence they shall never be able to return from. While the River folk put up a good fight, but they just could not compete with the humans sheer numbers, superior weapons, and greed. From the design.... uniformly a pain in the rear for travel. Charitably, you could call some of it small mountains. Good luck getting a horse through the zone with an unbroken leg.There are a few plateaus but mostly it is narrow canyons hemmed in with jagged cliffs just begging for an avalanche or rockslide. There are not a lot of large settlements to encourage bandits and armies, both of which can cause trouble for an adventurer. Better to face a beast than so called civilizarion at times. The mountains are unstable enough to make travel both time consuming and dangerous. That very instability means that maps of everywhere except the northeast shore looking out onto the Central Sea are near useless as peaks crumble to form new plateaus and block existing canyons. Wyverns. They do not tend to get too far from the abandoned mines where they lair and are too dumb to be tricky. If you do not want to hunt to supply or defend the seacoast villages, your best bet is to find one of the archaic mine shafts and look for abandoned stockpiles or dig it out of the earth yourself. If not to a painful death by way of wyvern, drake or worse, the tunnels could take you anywhere in the entire zone. Rockchildren abound here, never needing to come anywhere near the ever-so-lethal sun and moon to find places to visit and things to see. Not like any beast can do much to harm a sentient animation of stone, metal or gem. Flying is your best bet. Failing that, your next best option is finding a rockchild tunnel but neither that or stumbling through canyons aboveground are likely to take you anywhere except "somewhere else". ... I.... got northing. Dang it. Mineshafts and the products of them. Underground cities and lakes. Tunnels leading from and to anywhere the sun and moon do not shine. The northeastern seacoast has safety by dint of stout walls, force of arms and quick boats. It is safe from the drakes and wyverns and snakes and mountain goblins that call the Shattered Peaks home. Cibola. It is the largest and furthest south of the settlements along the Central Sea, wealthy and well known of it by dint of several heavily defended nearby gold mines. There is always call for workers of many sorts. The River folk are believed to have once lived in this area of Marshes and Swamps, and many believe they still do. The River folk were not to happy to encounter humans when they noisily came to their lands and started building crude forts for trade. The River folk quickly rebelled against these intruders, burning down the forts and leading them into deep into the swamps from whence they shall never be able to return from. While the River folk put up a good fight they just could not compete with the humans sheer numbers, superior weapons, and greed. I'm so sorry wizard. I know you said to not to tackle all the points but I'm not sure I can resist. Anyone who would like to wholesale replace/augment/ignore pieces of my imagination, please feel free. In the western end of the zone I see foothills for the mountain ranges that truly begin beyond its borders. In these foothills lived another group, a hardy race of (???) who had times made war with the river people in the east, and at times traded with them. This group had skills and magic influencing the crude iron found in the foothills and mountain ranges, and though they excelled at it they never built a true civilization, instead remaining primitive tribes and family groups who owned/worked mines for the metal, forests for the trees and animals, and the rivers for the fish. It was perhaps these river families that first angered the river folk. Using the river indiscriminately to quench the fires of their forges they polluted it and poisoned the food supply of some river folk (tribes?). After the first bloody fight that killed dozens on each side across many family groups, both sides realized they could benefit from one another. The mountain people who came from the foothills preferred to stay there, disliking the flat plains and seasonal flooding of the rivers. They began to trade with the river folk, using portions of the river to process their metals, and trading tools and weapons with the river folk. To this day some claim to have seen murderous river folk stalking unwary human travels, wielding weapons that neither rust nor dull, but instead cleave men in two as if they were saplings. For a few generations this arrangement worked for both groups, with the occasional accusation of cheating and inevitable bloodshed that would follow. Then mysteriously the people of the foothills left, never to return to the rivers and plains of the region. 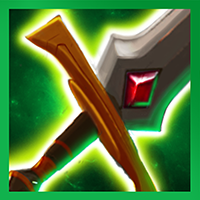 Growing curious, the river folk sent envoys to try and discover what had happened to their trading partners, for while they were perfectly capable of crafting tools and weapons, the people provided them with much superior items. The envoys returned with mad tales of the mountains raining blood and fire, of rivers belching forth nothing but death and decay. War had come to the mines and villages of the people's mountain homes. The travelers also told of an animal so fierce and invincible that the River Folk elders banned any travel to the foothills from that day forward. The mountain people had turned their skills to reforging life, not just metal. They had created the Iron Hide Bear. A beast whose fur was somehow infused with the metal of the land, they broke loose of their creators and began ravaging the land. The mountain people were never heard from again, whether they were all killed or simply withdraw deeper into the mountains, only whispers tell. To this day one may find mines that allow them to quickly traverse portions of the region, especially in the west. Though what traps, intentional or otherwise, remain can make this a hazardous trial. Some still make the attempt, following tales of enchanted metals. Others hunt for the fabled Iron Hide Bears, some of which are rumored to still wander the foothills. The are hunted for their magical pelts and the glory of the kill. These tales are readily bartered in taverns, and a few of the wealthiest claim to be ready to pay out handsomely for the Iron Hide of the bear. So, adventurer, will you hunt the marshes and rivers for the vengeful ghosts of a people not quite gone, or the foothills and mines of those who made war with tools they could not control? Or will you travel elsewhere, our region is vast, and the opportunities many. Whatever your choice, I'll sell you a room for the evening just the same. Hope that gives some folks more to work with, and some fun ideas. @Evilteddy @Drakythe I might be too influenced by the brown colour but I just can not translate that into marshes (or anything but mountains) in my head. I pray you will forgive my opposing view. I see the eastern and northern sides being more swampy, marsh like but once you get further inland the idea of mountains and hills so close to a swamp is like merging two Hells with each other...and I like it. Hmmm... No. Not just you. I can see it I think. Hmmm getting ahead of ourselves but yes the land of dragons indeed. Hmm, your mention of mountains raining fire makes me think of volcanoes. Perhaps in their constant quest for new and better materials, the mountain folk delved too deeply into the great dormant volcano that had been the crucible for much of their mineral wealth, and awakened it, violently devouring their civilization with fire and ash. The volcano has never truly slept since, spewing at least minor eruptions on a regular basis. It was like to be the same event which damaged the iron hides. While they could withstand the heat of the lava, and frequently did so to try and save their masters, they were not unscathed. The control spells eroded, sending the bears wild, and destroying the few who remained in the loyal defence of their masters. Free, they relocated themselves to the fires of the volcano, able to survive all but its heart, and set up a primitive society, in worship of the mountain god who freed them from servitude. Pirates and Slavers of the <zone> coast inhabit the cliffs like a bird colony in a david attenborough documentary. They squabble amongst themselves and sail far out into the bay and along the coasts searching for their favourite prey - Traders and Pilgrims: The hopeful, the inexperienced, the foolish. Their cliff-side homes are something like a very derelict Petra, although who built it or why they do not know or care. They do not venture far inland though, as the land here is a hostile place. A place where desert storms rage for days, water is scarce, and the temperature fierce. Dwarves! After leaving Lake Town, heading west by south-west, the Iron Lake Mountain Folk clan, continuously wars against orcs and wyvern in the caverns as well as occasional battles with the River Folk. Bring back enough orc heads and they will reward you with coin. Bring them feared wyvern heads and they may reward you with a fine dwarven weapon worthy of an adventurer instead of just coin. It is said that one can travel via the mountain Ways from Iron Lake to the Silver Hills, however, due to recent orc incursions and cave-ins, the paths may be quite dangerous. The first thing that popped into my head looking at the map was Morocco, hence my Barbary pirates type vibe in the post above. Mountainous, arid, much of the human type life lives along the coast where it is most hospitable in a very in-hospitable zone. What would you like to FIGHT here? - Pirates! Slavers! Sand Scorpions! How could one make a quick coin around here? - Can I be a pirate? I imagine we're stuck being 'heroes' though, boring. If you went underground, where would the caverns take you? - They would be beautiful, cool, and with tasty tasty water. In complete contrast with the land above. - Recent, the pirates and slavers - Forever: Djinns - Who shouldn't: ME! What's been left behind? - Sand blasted ruins of a once mighty trade empire. Where is there safety? Why is it safe? What is it safe from? - I like the idea of the underground caverns being a bit of a sanctuary. Cool, dark, out of the wind with water in them. That sounds nice. If you've just arrived, what would you head for first, and why? - Well... you've probably arrived after being captured by pirates so... The Petra type pirate fortress is probably what most people would see first. Also, I realise I've deviated quite a lot from what others were posting, but I just had the idea and decided to run with it. Hopefully it can be integrated into what was already posted in the thread -- especially as my stinky pirates only really live on the coast yes? If not, feel free to commandeer this for another zone Wizz-Fizz. (mostly because I really wanna see those Dune-Boat things in game). So I'm going to throw a bunch of answers at you, that might come with multiple answers that might need more information from a wizard. But let's see what we can figure out and narrow down. 1.Within the geography of the Zone, what do you see? Is it uniform, varied or somewhere in between-- describe. From looking at the coloring, which could be for multiple reasons, I have a few ideas. The first though, the area appears have much less flora then areas to the north and east due to the brownish coloring. The lighter lines and areas crisscrossing the brownish area could be signifying mountains or valleys. It's hard to tell without a little background on the geography. But from looking at the whole map, the coloring gets more bleak at you go from the northeast to the southwest. This could signify that whatever caused the collapse either happened in the north-east producing much flora, or happened in the south west killing off all the fauna. My thoughts for this come from the fact that there is a lake there, and no signs of green around the lakes edge. The other idea, which also makes sense to me, is the coloring is just based on the difficulty of the zone. The lighter/brighter areas are the easier areas, and the bleaker areas are harder areas. Either way though, the zone appears to be a bit mountainous. Which would invite the possibility of many paths to choose, with many secrets hidden through the mountains. Caves galore would litter the zone with unknown enemies and rewards. It looks almost barren due to the coloring. Which could mean it would harder to survive there. That would signify that anything you do encounter, is going to be more then a challenge. So harder enemies are always something I enjoy. If there are secrets paths and caves. Returning to an area again and again in hopes of discovering hidden areas and caves would be really interesting. I would expect to encounter stronger adversaries here. It feels like an area I might encounter dragons or dragonkin. Plus there are always Dwarves in high fantasy games, which could inhabit this area. If the area is mountainous. Maybe there are constructs or golems made of ore formed by magic during the collapse that wander the area. Killing them could drop crafting resources. A Bandit like enemies are always a worry, especially when you don't know whats around the next corner. Hard shelled enemies like scorpions are always a though in zones like this. Plus creatures that travel through the ground like a worm. Like the Ankheg from D&D. Gathering crafting materials, because the area looks like somewhere I'd go to mine metal. Defeating creatures around the areas will usually be a way to make some cash through the loot you receive. Spelunking into the cavernous around is bound to reward you with vast rewards, or dangerous enemies. Anywhere. I could envision the entire continent atop a latticework of caves and caverns that have been forgotten about since the collapse that used to run from one half of the land to the other. There could be an entire city deep underground under the lake, drawing from the lake as their source of water. The underground areas are always limitless with possibilities. Across the land would probably be the best known and safest way. Caves are easily taken back by new inhabitants, making them unreliable means of travel unless well guarded. But the area looks like there would be no "safe" way. To travel this land is to expect trouble. Who was here recently? Darggie. He did a bit of scouting a few months back, made a small map of the area, spotted a few caves, then scurried back before anything huge decided to eat him. Who's been here forever. Well I'd expect if the area is mountainous, there might be some old ancient beasts or dragons atop or near the peaks of the mountains. Plus deep underground could be a whole different story. An entirely new race of creatures of people could be living in cities deep underground that have been there for ages. So deep and far underground, they haven't even heard of the collapse yet. Who shouldn't be heeeerrrre...? Well anyone without a big sword probably. But I imagine there are some people out there up to no good doing secret things in the region hidden from prying eyes. As to who, and why? I'd need a bit more information about the lore as a whole to start building something out of that. Old cities or Houses built above ground may be in the area. Depending on outside factors, everything in the zone may have been forced to have a quick retreat, or been killed in the collapse. Their could be libraries full of old knowledge crumbling to dust in city ruins just waiting for someone to save them. The edge of the area, closest to the water and the greener zones is all the safety one could hope for in this area, not that anyone would call anywhere here "safe"
Well Darggie's last trip around the area had him near the lake first, resupplying on water. Then he wandered, taking what trails looked least used and made his way toward the center of the area slowly but surely making note and maps of things along the way. Side note idea: If you do have hidden caves and things. Maybe you guys should developer a "Search" system. Where when you get to a zone, there is a basic way through the zone that most will travel. Then you can "Search" around in the zone as you get through it. You'd have a chance to discover hidden paths and secret caves. Some of these paths and things may only be able to be found after you've uncovered a specific piece of lore that lead you to look that way. There could be dozens or hundreds of secrets in each zone, but they may take a lot of searching to find. Just a thought I had. Alright I get I know when to concede that may original plan may not fit in with everyone's ideas, and after studying the map a bit more i can agree with you my idea probably fits better with the peninsula in the NE region. Working with the selected region I noticed the region to the south the terrain actually reminds me of a flat mountain top like a giant plateau or bute, and the region the the NW looks very canyoned. So I am not sure If Mountainous like the Himalayas is what we are wanting but maybe more "rocky" like Colorado, Montana, Wyoming. @Darggie your description of what used to be here reminds me greatly of Terry Brooks Shannara series. I've done a lot of world building. I have notebooks full of world information on world's I've built for Dungeons and Dragons settings. A lot of time has been put in to making my worlds enjoyable and realistic so people can feel immersed in the world. But everyone's ideas are awesome, I might even snag some idea's for a new world I'm working on. Rocky Hills and craggy terrain. Lots of good places to hide and set up ambushes of whatever prey may be lurking it the area. Dwarves, gnomes, Goblins, trolls, Mountain goats, mountain lions, and the occasional wyvern. Minerals, bounty hunting, Mountain lion pelts, wyvern claws, goat horns. Slowly, moving from cover to cover. Looking for overhangs, caves, and mines. A few coastal outposts and small villages. The Dwarves and gnomes have warred in this place for many years fighting over territory, but have recently found a new recent foe in humans who covet their lands and the rich mineral deposits within. Abandoned mines and cave homes that have quickly became home to goblins and other lesser deamon. Along the coasts in the few human settlements, with small armies protecting them from a none too happy previous inhabitants. The first stop would be one of the coastal outposts of settlements. There you can quickly get information about the area and get supplied for the journey ahead of you. I've done a lot of world building. Oh I will, don't you worry. and or combinations of above . Excellent. And you continue to do so. The other two threads are coming as well as a game update with lots of visuals. Perhaps an elf or two. And @helpicantfly, I will dedicate one of the new foe reveals to you, sir, based on that last comment. As I walk from my hometown of catfolks, I see war a war torn area between 3 different factions. Their are mountains, a couple of fortified areas, and some destroyed groves. 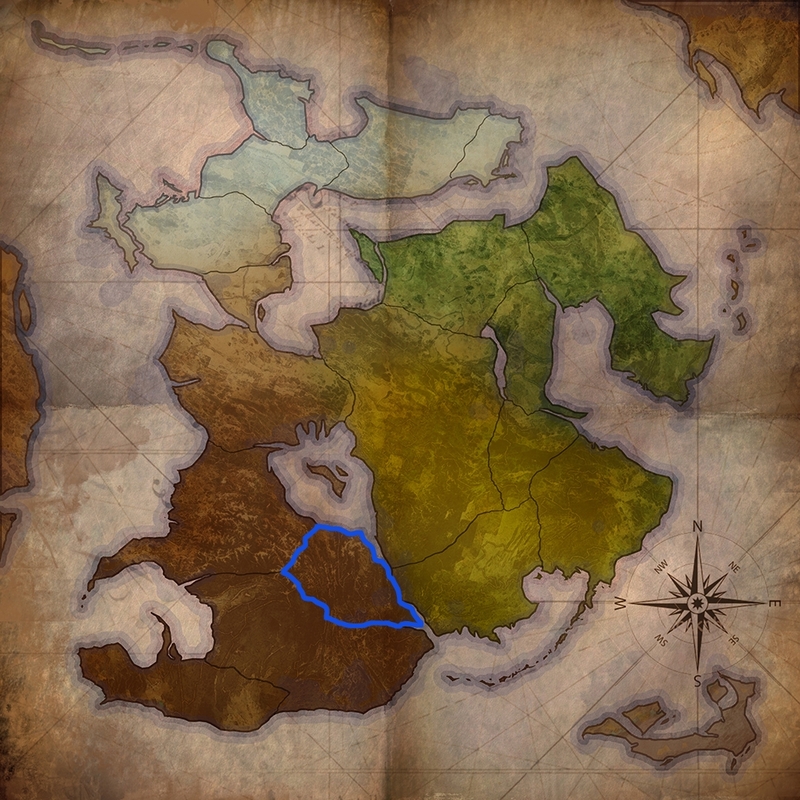 One fortified area for each faction, except for the rebels who are hidden somewhere. As a rogue myself, I enjoy the rebelion. I despise the other two factions. If you choose the rebelion, you fight against the other 2 factions. One is the order of the red hydra. The other is the order of the blue swarm. You can work for one of the 3 factions. The order of the red hydra gives more coin than gear. The order of the blue swarm gives more gear than coin. The rebelion gives a balanced bit of coin and gear but then again I am a rogue so I guess I might be stealing from the other 2 factions but I'll never tell. The caverns will lead you astray if you take the right path but if you follow the left path and figure out the maze you will find the rebel base. You could walk or ride a mount but only outside and if the mount isn't to big you can ride it in the caverns. Recently, the order of the blue swarm and the order of the red hydra has moved in. The rebels have been here forever. As for who shouldn't be here, each faction has their opinion on that. If you ask the order of the red hydra they will say the order of the blue swarm and the rebelion. If you ask the order of the blue swarm, they will say the order of the red hydra and the rebelion. If you ask the rebelion, they will say their homeland has been invaded by the two orders. A war torn zone with dying groves and destroyed tree houses and shops which used to be where the rebelion lived till the orders moved in. As for safety, it depends on which faction you choose for me the rebelion hideout is safe. As for others, the order of the blue swarm's or the order of the red hydra's fort is safe but it's it's your choice. if you just arrived and you want to find a home amongst nature then I'd go for the rebelion hideout but then again you could go for one of the forts it's your choice. As for me, the rebelion has very little rules which is why I chose the rebelion but it's your choice. Still time to post ideas? If so, I'll have my list up within the day! yes yes yes (can't believe i missed this, goats, apologies). These threads will be open until EXPLICITLY closed. Rock out. Some really solid stuff in here. Yes yes. Not sure if these design threads are still open, but thought I’d chime in anyways! I’ll get to the decision thread as well, just wanted to start here. 1. Within the geography of the Zone, what do you see? Is it uniform, varied or somewhere in between-- describe. In the zone I see the Gronzigo Mountains and Lanard Valleys, with the South and East of the zone harboring the higher mountain Peaks and the North and West of the zone making home to the valleys. The passage on land between the zone due East is quite treacherous, thereby making passage through Creel (the point where the zone touches the water at the South) the area where a majority of passages take place. 2. As an adventurer, what do you like best about the Zone? What do you fear or despise? This zone offers many hiding opportunities with many caves, dwellings, and caverns throughout. Many small camps dot the land. As far as cities go, Creel is to the South while Abigado and Onul are to the North (all touch water). The camps and cities offer many trading options…some legitimate and some better suited for the criminal type. 3. What would you like to FIGHT here? Bartering in the criminal trade is how coin is quickly made. 5. If you went underground, where would the caverns take you? 6. How do you travel within and across the area? On foot. Period. Though you can catch a ride on skiffs in the coastal areas. 7. Who is here recently? Who's been here forever? Who shouldn't be heeeerrrre...? 8. What's been left behind? 9. Where is there safety? Why is it safe? What is it safe from? Many find isolation to be the best safety. Protection in the three cities naturally comes from the amount of armed guards…and knowing that many people are self-armed. 10. If you've just arrived, what would you head for first, and why? I head straight for Creel. There I will discover the markets and begin probing around for the best deals, wherever they may come. When I arrive I see Ngfoglluc the super massive volcano. and on each side of it there are packs of Spiderwolves. My favourite thing about the zone is the volcano that is like a survival climb to the top continually getting harder and harder. I fear the cave, it holds chaotics of all sizes. The Spideroos a mix between spiders and kangaroos. At the tavern, The tavern owner will always give you a quest to make a quick buck. To the first place you meet chaotics. On top of tamed spiderwolves or magic. Recently the Spideroos have migrated here. Yesterday the tavern master has been acting strangely. The city because it's safe and you will meet the tavern owner to give you quests.